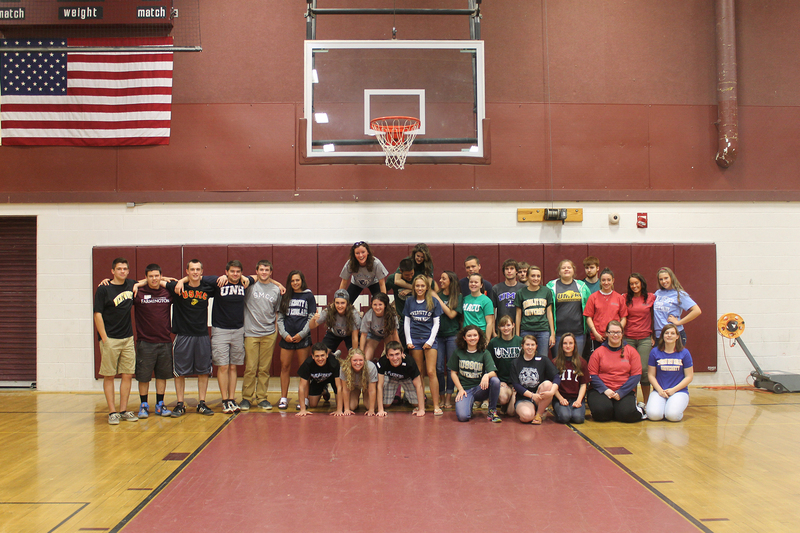 Members of the 2015 Senior Class at Monmouth Academy show off t-shirts from their chosen colleges/program during Senior Spring Fling on May 22nd. The t-shirts were provided to students as part of the school’s MELMAC Connect Aspirations to a Plan grant. Grantees: Do you have photos related to MELMAC college access activities? If so, send them to info@melmacfoundation.org and we will feature them here.